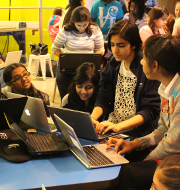 Drop-in programs from 11:30 a.m. - 5:00 p.m.
Join us at The Tech for a week-long celebration of engineering! 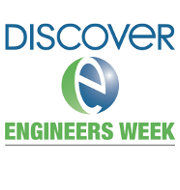 Engineers Week is a national event that brings engineering to life for people of all ages, and celebrates engineers and the difference they make in our world. Come and engineer an Ewok escape vehicle, build a Rube Goldberg device, program a human robot to perform in our RoboTheater, tinker with LED lightsabers and hovercrafts in our Jedi Tech Hands-On Science Workshop, and meet some of our favorite engineering role models and partners! Learn more. Most programs are drop-in and free with museum admission. See below for programs requiring registration and/or a fee.